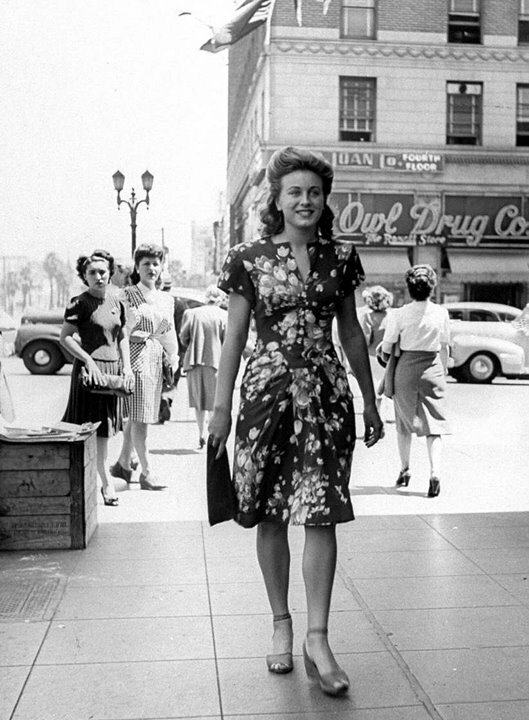 Thanks to Starlet Showcase for posting these great photos from a 1944 issue of Life Magazine, a kind of 1940s-Sartorialist look at girls passing the intersection of Hollywood and Vine, in Los Angeles. 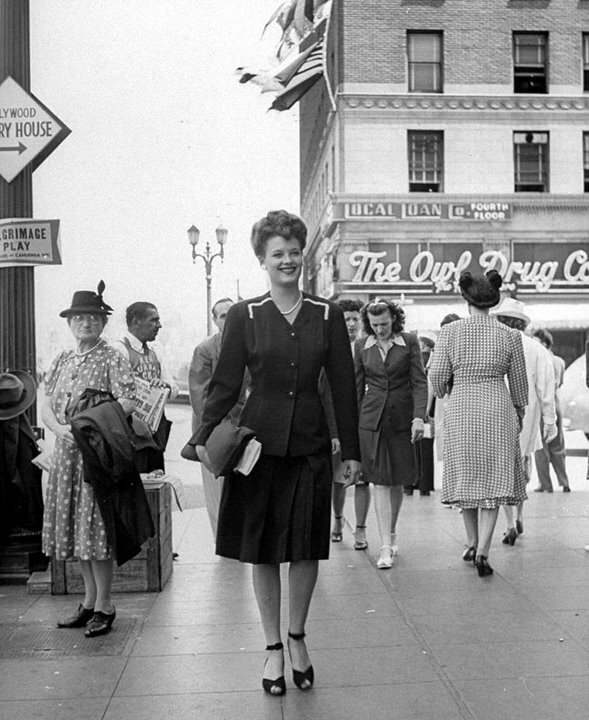 A nice glimpse of real-life fashion in mid-40’s USA. 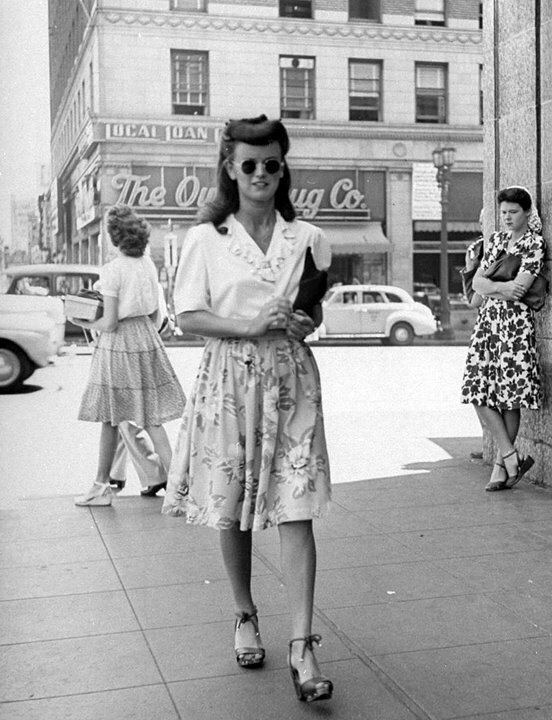 Another shot from international street fashion blog, The Sartorialist, this time taken on the street in Sydney Australia. If this guy isn’t a swing DJ, then he should be.